What do you get when you combine a floral-trends expert with a home-décor trends expert? The answer: Grow With Us, a day of education and inspiration sponsored by Dallas Market Center, which took place on June 20th. 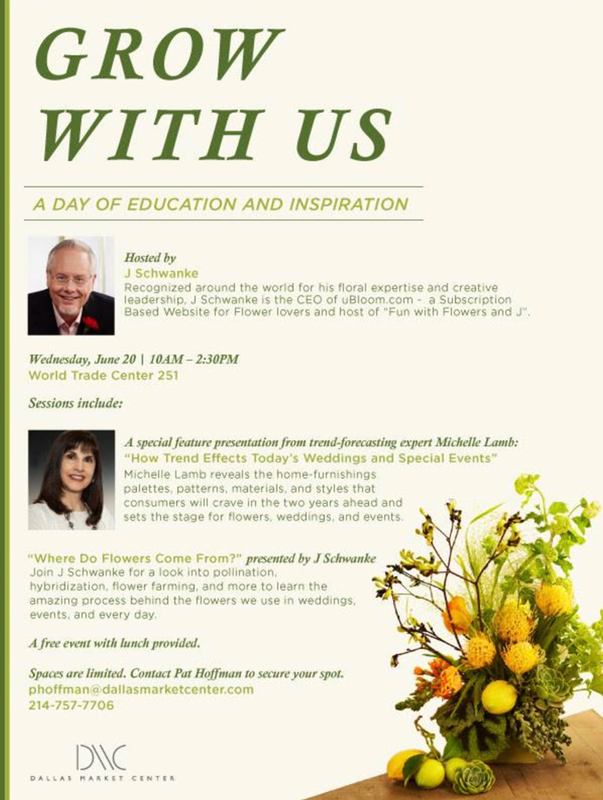 Led by uBloom's J Schwanke and The Trend Curve's Michelle Lamb, this session was attended by retailers, designers and product-development specialists involved in the floral industry. Before the session, both Michelle and J were interviewed by DMC TV's Kadee Coffman. DMC TV broadcast the interviews on their Facebook page, the DMC website and on monitors throughout Dallas Market Center. Michelle and J's video interviews are below.